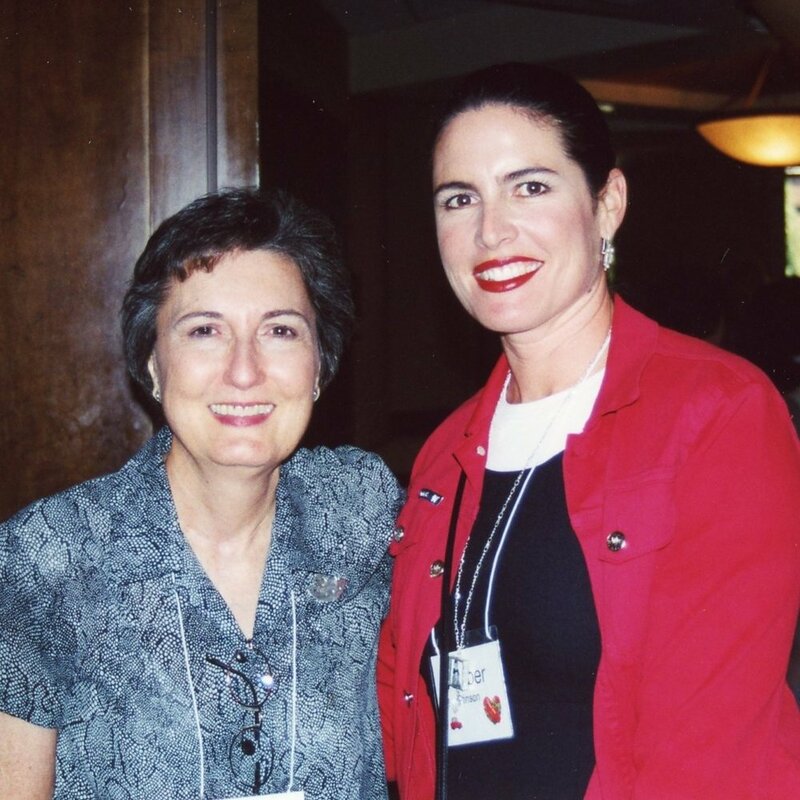 In October 1985, Susie Kimes, Director of Women's Ministry at Calvary Church Santa Ana, invites other women's ministry directors to come to Calvary for a networking brunch. Forty women come from all over the LA/OC region. Susie gives an overview of Calvary's Womens Ministries (WM) and shares their resources, then Pat Clary speaks to the group (she leads Women's Ministries Institute in Los Angeles). The women find it incredibly helpful to meet together—they love sharing ideas and resources and decide to keep meeting. The second meeting is held at Rolling Hills Covenant Church. Pearl Hamilton, Director of Women's Ministry, gives an overview of their WM and once again women find benefit from being together. The Network of Evangelical Women in Ministry (NEWIM) is born. NEWIM's first two conferences are held at Calvary Church in 1986 and 1987. Carole Sherman is the keynote speaker. Although the conferences are open to the women of Calvary, the event is designed for the women of NEWIM. In 1987 Susie resigns her position at Calvary, and in 1990 the leaders set up a 501 (c) (3) religious nonprofit organization so that NEWIM can continue to host conferences for women. They invite Susie to become NEWIM's first president. 1990: NEWIM's first off-site conference is held at BIOLA University, June 1990. Anne Graham Lotz is the keynote speaker; her topic "Revelation." Pearl Hamilton (WM Dir Rolling Hills Covenant Church) introduces the group to Anne (Pearl and Anne are friends from Bible Study Fellowship and she knows Anne feels called to begin a speaking ministry.) Susie emcees the weekend conference; participants have various workshops and opportunities to network. This conference begins our relationship with Anne. NEWIM continues to host weekend women's conferences every other year. Speakers include Anne Grahm Lotz, Jill Briscoe, Tricia Rhodes, Cynthia Heald, Laurie McIntyre, Jackie Rettberg, Luann Budd and Teri Thompson. 1992: "A Heart to Serve"—BIOLA University, June. Anne Graham Lotz speaks on "Hebrews." 1994: "Refresh Your Heart"—Arrowhead Springs, June. Anne Graham Lotz and Jill Briscoe bring the keynote messages. Anne speaks on "Daniel" and Jill speaks on "Job." 1996: "A Heart that Looks Beyond"—Vanguard University, Costa Mesa, June. Anne and Jill once again share the podium. Anne brings a series focused on "Impacting Our Culture." Jill's series focuses on "Looking Beyond Yourself." 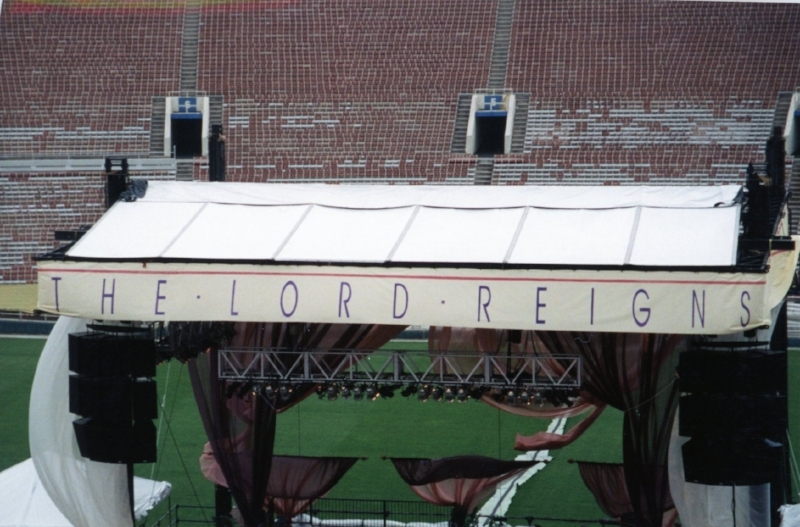 1997: Return to be Encouraged in Heart - Biola University, July. Speakers include: Jackie Rettberg, Pam Farrel, Dr. Shelly Cunningham, Edna Myers, Elaine Schulte, Marty Russell, Ruth Ann Graybill, and LaVerne Tolbert. 1999: "A Heart for the Future"—Mission Inn, Riverside, February. Laurie McIntyre, Jackie Rettberg and Luann Budd are the featured speakers. In 1992, the leadership of NEWIM go on a weekend prayer retreat. During the retreat, there are hours to spend alone with the Lord. We discover we need extended time to be alone with Jesus to nurture our love for Him. We recognize our ministry must flow from our worship and all too often that isn't what's happening. Because this retreat is so beneficial in our lives, we want to provide similar opportunities for women to spend hours with Jesus. Susie Kimes, Luann Budd and Jackie Rettberg meet monthly for a year and in 1994, the Oasis ministry is born. 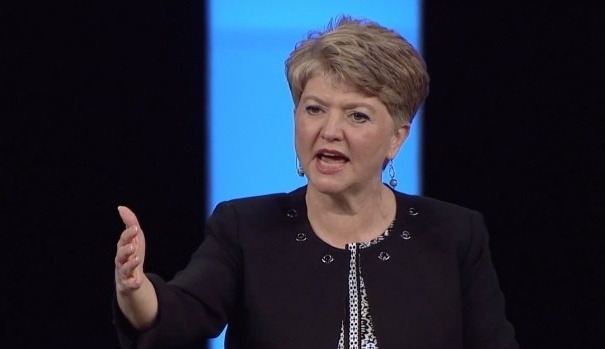 During the next eleven years, 75 churches host this one-day retreat ministering to 4,000 women and 50 men led by Jackie Rettberg. Betsy Stowe and Janice Marshall lead worship. Luann speaks on how to journal. Pat James and Susie Kimes, Karen Root and Tricia Edmonds also serve on the team. Carolyn Shea is the administrator. The highlight for most women is spending an hour and a half alone—having "lunch with Jesus." In 2007, Jackie oversees the creation of the Oasis retreat on DVD, "a retreat in a box" complete with all of the printed materials for the purpose of being able to bless people beyond our present reach by offering them tools and resources unique to the Oasis experience. In 1995, the Lord impresses upon Susie Kimes the vision of beginning stadium events for women. In order to accommodate this change in scope, NEWIM and CHOSEN WOMEN become divisions of WOMEN OF HONOR. Susie steps down as President of NEWIM in order to lead the CHOSEN WOMEN stadium events. Ginger Bertoni becomes the President of NEWIM. She serves for 14 years (1995—September 2009). 30,000 women gather in the Rose Bowl for the first Chosen Women Stadium Event. Jill Briscoe, Susie Kimes, Anne Graham Lotz, Elizabeth Elliott and Bunny Wilson share from the Word what the Lord has laid on their hearts for the women. Alaina Reed Hall is the emcee. Bunny Wilson, Kay Arthur, Pat Ashley, Sandy Snavely and Jackie Rettberg are the keynote speakers. NEWIM establishes chapters in LA/Orange County (led by Ginger Bertoni and Susan Booker), San Diego (Bev Amsbary and Dawn Wilson), Fresno (Shirley Barber), Kern County (led by Mary Younger then Teri Thompson), the Inland Empire (Tammy Tkach) and Ventura County (Jan Lackey). In order to gather women together for a time of spiritual encouragement, NEWIM begins to host one-day events, typically held the year between the biennial conferences. Pam Farrell and Cindi McMenamin are the keynote speakers. Jill Briscoe is the featured speaker. Stephanie Edwards is the speaker. Teri Thompson, Jackie Rettberg and Luann Budd are the featured speakers. Friday night concert with Anne Barbour. Anne Graham Lotz is the keynote speaker. In 1998, The Springs prayer and reflection retreats begins. Ginger Bertoni, Shirley Barber, Sara Jo George, Susan Booker, Marty Russell, Sunny Schrimsher, Luann Budd and Sharyn Evans co-lead the retreat twice a year at Mater Delarosa (Sierra Madre) and El Carmelo (Redlands). In 2006, a northern California team [Luann Budd, Shirley Barber (2006-2015), Betsy Stowe, Christy Wold, Darlene Derby, Elaine Russell and Crystal Mayfield (2006-2012)] begins hosting The Springs retreat each November and April at St. Anthony's in Three Rivers, CA. Ashley Budd joins the team (2013-2015). The Springs retreat continues in southern California until 2009 with Ginger Bertoni, Susan Booker, Janet Cleland, Sharyn Evans, Sara Jo Geroge, Marty Russell and Sunny Schrimsher co-facilitating. In 2017, the first Springs retreat is held in Prescott, Arizona. Deanna Harder, Mary Williams, Tracy Millward and Veronica Betance-Sandoval are the facilitators. In 2005, a team of NEWIM gals are invited to host a women's retreat in Cape Town South Africa (Susie Kimes, Luann Budd, Ginger Bertoni, Jackie Rettberg, She Brown, June Chambliss, Paula Reece, Donna Jeffries). This trip begins our connection with the women there. In 2007, under the leadership of Glenda McMinn, the Newim-Cape Town chapter is formed. Twice a year, they host women's conferences. In 2016, She Brown participates in their November conference. In 2017, Tammy Tkach (NEWIM Board member) is invited to be the keynote speaker for their Beautiful Woman retreat. In 2017, a third retreat is offered. The Oaks two-day training seminar for women in leadership is held for four years. Women on the Leadership team include: Mary Younger (WM Dir. Riverlakes Community Church-Bakersfield), Bev Amsbury (WM Dir. Emmanuel Faith-Escondido), Ginger Bertoni (WM Dir. 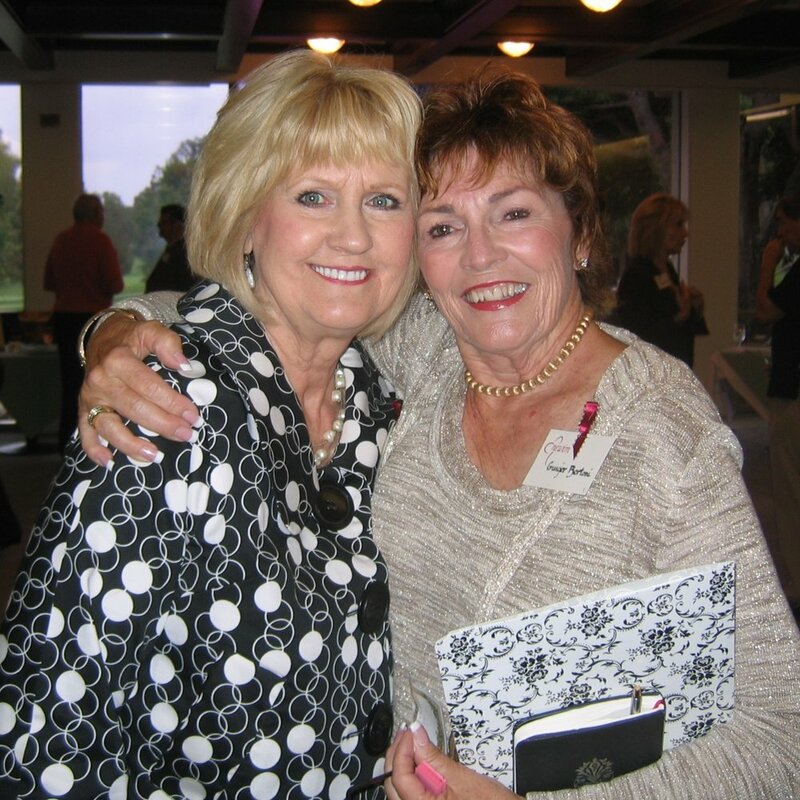 Evangelical Free Church Huntington Beach), Carolyn Shea (St. Andrews) and Jackie Rettberg (Grace Fellowship). Jackie Rettberg becomes the Executive Director in 2009. Jackie serves for seven years. Under her leadership, NEWIM creates new opportunities for women in leadership and funds are raised to provide scholarships. To raise funds for scholarships for NEWIM's various ministries, a luncheon is held at Santa Ana Country Club with Hugh Ross as speaker, 2009. Forums for Directors of Women’s Ministries are established and held twice a year for four years (2011-2015) led by Shannon Reese, Director of Women’s Ministries at Calvary Church, Santa Ana. Hope for the Holidays (2014, 2015) evening events are held at a local hotel with Luann Budd and Cindi McMenamin as the featured speakers. An annual Bridge Day fundraising event is established and held once a year at Big Canyon Country Club in Newport Beach. This fundraiser continues for six years (2010 to 2016). Make Space for God, a Saturday morning retreat is offered by Marty Russell. Silent retreats (2013-present) are created and are being held twice a year, led by Lisa Bergstedt and Pam Cashion. A retreat for Pastor’s Wives (LAMBs) is created and offered free of charge. Pam Cashion and Kim Powell (2014-2017) co-lead this retreat twice a year beginning in 2014. Six pastor's wives from various areas are invited to each retreat. Janae Swan joins the team when Kim retires. In 2018, a third retreat is offered. November 2016, the Northern California Springs team hosts its 10th Anniversary Celebration at St. Anthony's Retreat Center, marking the milestone of hosting 20 retreats for over 400 women. Luann Budd becomes the President of NEWIM in 2017. She leads the Transition Team through a re-visioning process. The team realizes that thirty-two years later, our purpose is the same as our founding purpose (1985). While the leadership has changed, our heart has not. The team establishes four goals for the next three years: continue to offer contemplative retreats for women, create safe spaces and small groups where women in leadership can connect and expand NEWIM's visibility. Susie, Jackie and Carolyn come and pray with the group. The Lord enables us to make advances in each area. 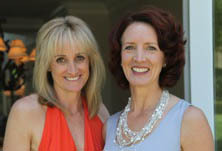 Pam and Lisa host four, one-day Silent Retreats. A one-night retreat is held in Oceanside, May 2018. Sheila Brown and Kim Johnson join the Board and Holly Kalton greatly expands our social media presence. Springs Retreats are held in Prescott, AZ and Three Rivers, CA, fall and spring. In 2018, the Pastors Wives Retreat expands to three weekends. A new Writers’ Group is formed and Cindi McMenamin and Kathy Collard Miller host the first Writers’ Getaway. The online book club reads the Sensible Shoes Series together. Confidential prayer support is made available at all of our retreats and online. Local gatherings are held in San Jose, Modesto, Fresno, Bakersfield, Los Angeles, Orange County, Phoenix, and online.